Positions are available for experienced, responsible and enthusiastic young leaders who want to work with children in a positive, outdoor environment. Position descriptions and details can be found here. We hire about 30% of the staff through international placement agencies, bringing in qualified instructors and counselors from around the world. International staff bring a wonderful diversity of culture and experience to camp, and must speak English fluently. 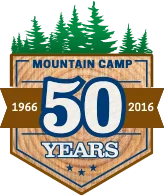 Founded in 1966, Mountain Camp served campers in the Santa Cruz Mountains for 20 years before moving to its current location on Ice House Lake, about an hour from South Lake Tahoe. Mountain Camp is located on 26 acres of lakefront property in the Eldorado National Forest. We welcome over 1900 campers each summer with a staff of about 80. To inspire a community where friendships, creativity, experiential learning, healthy life choices, positive values, and character are nurtured through recreational challenges. We welcome an average of 240 campers each session, about 50/50 boys and girls. Campers range in age from 7-14 years old (2nd grade-9th grade) most sessions. We offer a 2-week, Counselor-in-Training program during Sessions 3, 4, and 5 for campers entering 10th-12th grade in the fall. The majority of our campers come from communities around the Bay Area. We get a small percentage of campers from around the United States and about 1% from other countries. About 1-2% of our campers come on scholarship through non-profit organizations in San Francisco. Our program is designed to balance independence, choice, challenge, and support. We strive to provide an environment where kids grow by feeling comfortable enough to step outside their comfort zones, and try to new things. Our staff are the most important component in creating an amazing camp experience for our campers. Counselors are assigned to a cabin group, but also lead activities during the day. Counselors spend about half the day with their cabin (meals, Rest Time, Hang Time, Evening Program, and Night Life), and half the day teaching activities (each activity period is 90 mins long and contains 1 or 2 activities). Counselors typically lead activities for 3 of the 4 periods each day, with one period off. Skills such as speed boat driving, guitar, ropes course, mountain biking, gymnastics, video production, arts & crafts, fishing, sailing, windsurfing, fencing, self-defense, photography, yoga, dance, survival skills, parkour, and lifeguarding are particularly desirable. Counselors must be 19 years old and have completed at least a year of college or equivalent. All counselors are responsible for being CPR and First Aid certified before they arrive at camp. Counselors who attended Mountain Camp as campers and are currently in their 1st year of college are offered partial summer positions. All other applicants are expected to be able to work from the beginning of staff training until the end of Session 8. If your available dates fall outside of this range, or you have other scheduling conflicts, please email the office before applying. Mountain Camp provides a week long Staff Training before the summer sessions begin. This week is spent orienting counselors to all aspects of camp and the job, including working with campers, leading activities, traditions, skits and songs, rules and regulations, and emergency procedures. We are committed to helping counselors excel at their jobs. Ongoing support for counselors is provided throughout the summer in many forms. Specialists, Head Counselors, and Directors are available at all hours for mentoring, advice, and support. Counselors receive 2 informal “Check-In’s” during the summer for reflection and feedback on their job performance. At Mountain Camp, we have a camper/staff ratio of approximately 4:1. Check out our Staff Positions page for descriptions of the positions available for the upcoming summer.